There are 31 Assisted Living Facilities in the Whitehall area, with 2 in Whitehall and 29 nearby. The average cost of assisted living in Whitehall is $3,450 per month. This is higher than the national median of $3,346. Cheaper nearby regions include Latrobe with an average starting cost of $3,377. To help you with your search, browse the 157 reviews below for assisted living facilities in Whitehall. On average, consumers rate assisted living in Whitehall 3.2 out of 5 stars. Better rated regions include Latrobe with an average rating of 4.2 out of 5 stars. Caring.com has helped thousands of families find high-quality senior care. To speak with one of our Family Advisors about assisted living options and costs in Whitehall, call (855) 863-8283. The area around Whitehall Township was first settled by Europeans in the 1700s. It is now a suburb of Allentown and home to around 27,500 people, with 17 percent of the population is aged 65 or over. There are two assisted living facilities in Whitehall and a further 48 in nearby communities. 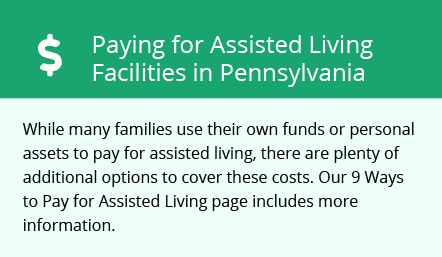 In Pennsylvania these facilities are known as Assisted Living Residences (ALRs) are are monitored and licensed by the Department of Human Services' Office of Long-Term Living. Lehigh County, including Whitehall, is a member of the AARP Network of Age-Friendly Communities, meaning that its elected leadership “has made the commitment to actively work toward making their town, city or county a great place for people of all ages,” according to AARP. Public Transport in Whitehall is provided by LANta. Seniors may be eligible to use LANtaVan which is a door-to-door service. Seniors using the LANtaVan receive an 85 percent discount on fares and ride on the fixed-route service for free. The Allentown area, including Whitehall, is home to world-class medical facilities, including Lehigh Valley Hospital, in the event of medical emergencies or illness. Seniors interested in arts and culture can enjoy the thriving arts scene of the Lehigh Valley. The Warner Art Glass Center in Whitehall displays glass art from around the world. Some assisted living facilities may organize trips into other parts of the valley to visit the Allentown Art Museum or see a performance at the Pennsylvania Shakespeare Festival. The crime rate in Whitehall is 41 per 1,000 residents, one of the highest crime rates in America, and 97 percent of other Pennsylvania communities are safer. This is due to the high property crime rate. The violent crime rate is only one-third of the state average, but property crime is more than double. Seniors moving to the area may wish to take steps to protect their belongings. Sperling's cost of living index sets the national average at 100, and Whitehall's cost of living is 102, making it slightly more expensive than the average. However, the overall cost of living is kept low due to low housing prices. Seniors should be aware that health care in particular is very expensive, indexed at 118 compared to the national average of 100, and this could cut into their retirement budget. Assisted Living costs in Whitehall start around $3,450 per month on average, while the nationwide average cost of assisted living is $4,000 per month, according to the latest figures from Genworth’s Cost of Care Survey. It’s important to note that assisted living rates in Whitehall and the surrounding suburbs can vary widely based on factors such as location, the level of care needed, apartment size and the types of amenities offered at each community. Some financial assistance is available to eligible seniors in Whitehall who receive Social Security Income through the Optional State Supplement (OSS). Whitehall and the surrounding area are home to numerous government agencies and non-profit organizations offering help for seniors searching for or currently residing in an assisted living community. These organizations can also provide assistance in a number of other eldercare services such as geriatric care management, elder law advice, estate planning, finding home care and health and wellness programs. To see a list of free assisted living resources in Whitehall, please visit our Assisted Living in Pennsylvania page. Whitehall-area assisted living communities must adhere to the comprehensive set of state laws and regulations that all assisted living communities in Pennsylvania are required to follow. Visit our Assisted Living in Pennsylvania page for more information about these laws.